If you're anything like me, the Walmart beauty aisle is your happy place. 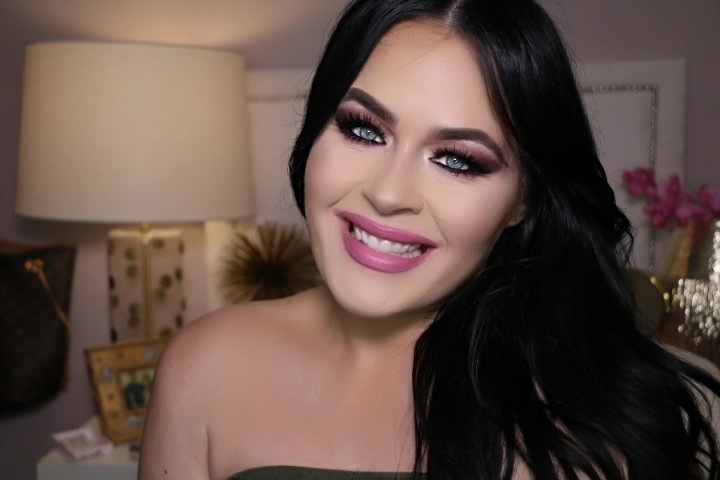 I love going there after a long day and seeing what's new in makeup and beauty. I always seem to find something great & have yet to leave disappointed. 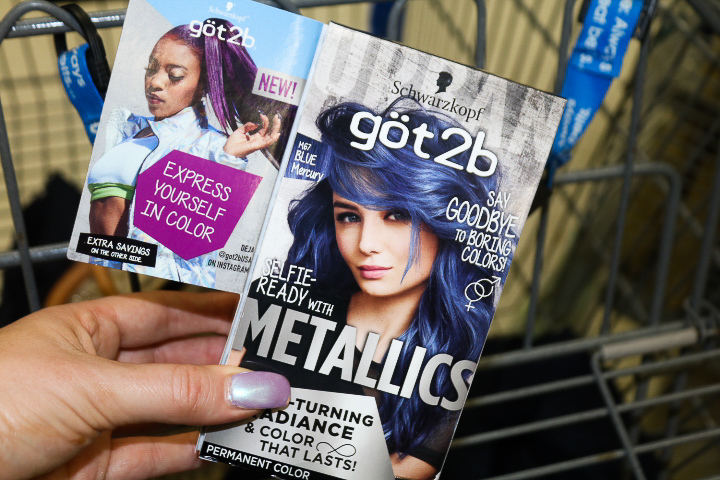 I was at Walmart recently checking out the hair care section when the new got2b® Metallic hair colors by Schwarzkopf caught my eye. How could they not? Their new vibrant color line is absolutely stunning, each model on the packaging sporting the most fun, unique and creative colors I'd ever seen. Although my hair is currently dyed a jet black, I decided to try out the Blue Mercury got2b® Metallic hair color shade & see what would happen. I would have to strip the black out of my hair to get the intensity shown on the got2b® model, but I still thought it would be fun to experiment. I love dying my hair at home, I save so much money and it's really so easy & fun. Once I get the hair dye home, I put on the provided gloves & simply squeeze the color cream into the developer bottle. I take the cap off the developer bottle and put my finger over the top of the bottle. I then shake well to distribute. 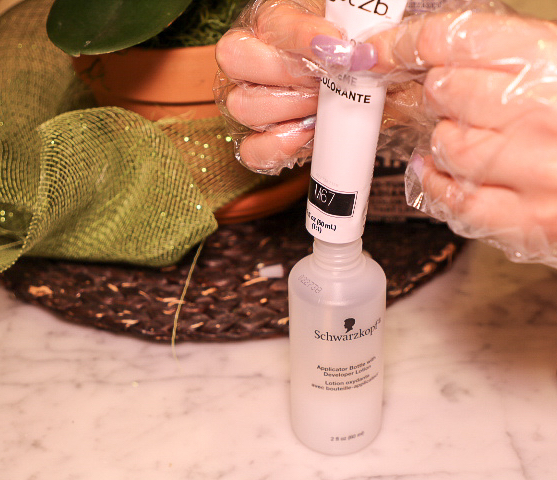 Starting with dry hair, I make sure and brush my hair first before I apply any color, removing any dangles. I now begin to apply the color to my hair line first, moving the bottle all over my scalp. Once my scalp is throughly saturated, I begin to move the color down to the ends of my hair, working the dye through, completely saturating my strands. Once my hair is full of the product, I like to take an elastic hair tie and wrap my hair up in a bun to keep it in place while the color develops. I set the timer on my stove for 30 min and go online and check out my favorite sites while I wait. After 30 min, I put my gloves back on and get in the shower. I wash the hair dye from my hair and then use the after color treatment conditioner. 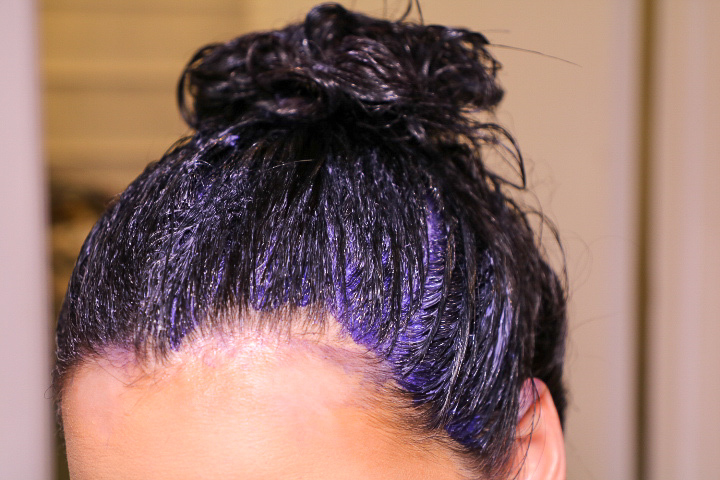 After I washed out the got2b® Metallic Blue Mercury from my hair, I was shocked! It turned out the most gorgeous, shiniest blue black shade! 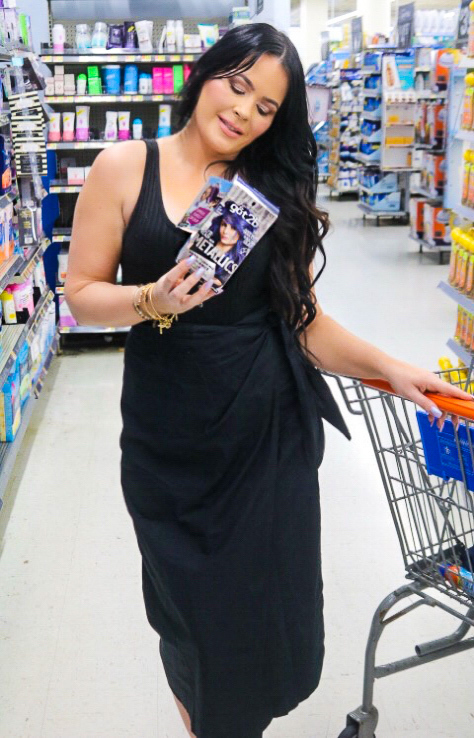 My hair was so silky, shiny and much more multi-dimensional now that the got2b® blue mixed in with my black. 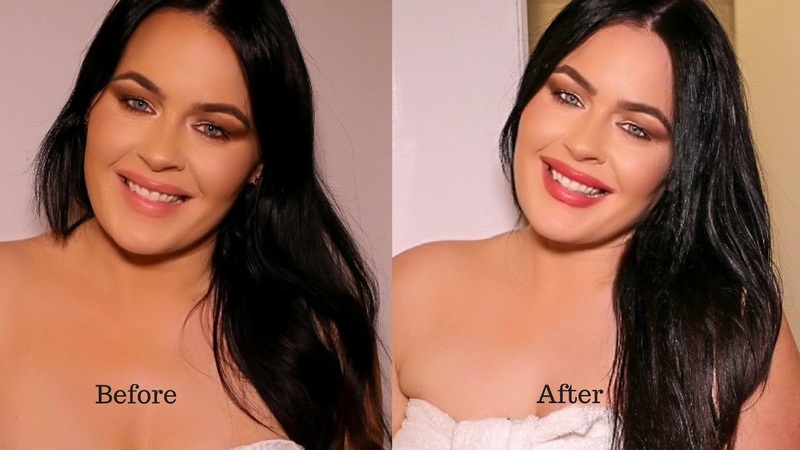 I could not believe the results and absolutely loved it! Best of all, after a few washes, my hair is still incredibly silky and shiny, with a much more richer, radiant tone now. I will definitely use this got2b® Metallic Blue Mercury over my black hair again. 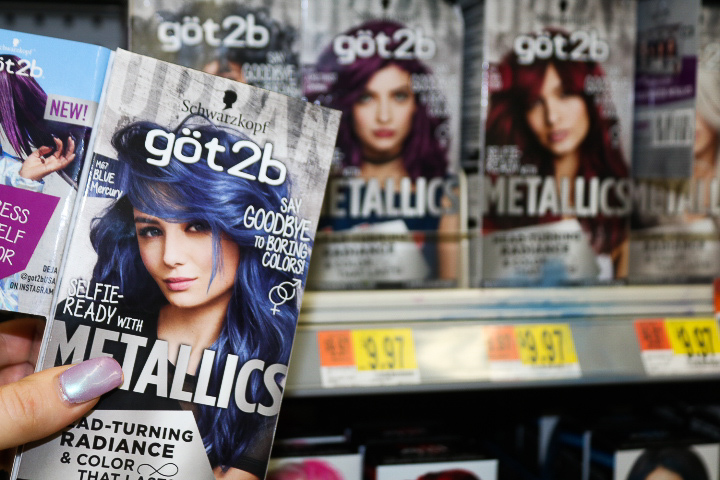 With countless color options, you can create so many gorgeous looks of your own with this new got2b® Metallics line! You can truly express yourself & your originality with these vibrant, definitely not boring, colors. I get so many questions on how I color my hair at home and hope this helps. I do currently dye my roots at home with a black dye every few weeks. 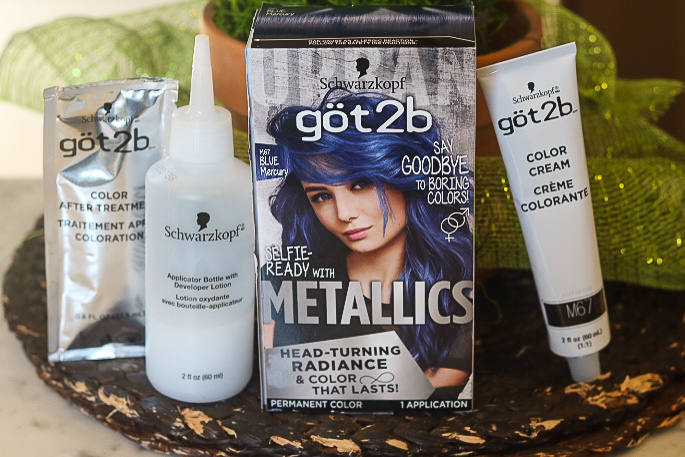 Now I'll use the got2b® Metallic every month to keep up the amazing shine and give it that radiant blue black shade I love so much! got2b® Instagram and Social Hub for endless style inspiration!